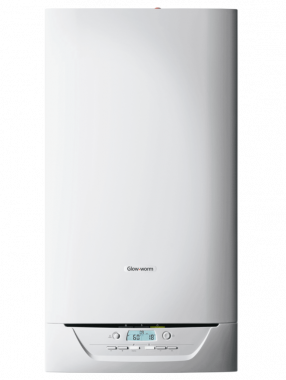 The Energy 35 Store from Glow-worm is a condensing, Combi gas boiler. It is a compact, all-in-one, wall mounted unit which will produce hot water for both your central heating system and taps. This means that you don’t need a hot water cylinder or a cold water feed tank which should help save space in your home. This unit features a wide range of benefits such as the inclusion of the storage water vessel within the unit. This not only saves you space but also provides larger properties with unlimited hot water. This boiler is ultra quiet in operation and, as an B rated boiler with 89.4% efficiency, is a highly efficient unit which could reduce your energy bills significantly. The output rating of 35kW makes this boiler ideal for a larger home which has multiple bathrooms or a higher demand for heating and hot water. This boiler is a high performance boiler with a powerful 19.7 litres per minute flow rate. This is achieved using shift load technology and a mixing valve supplied with the appliance. This boiler is able to re heat in less than five minutes. It is available as either a natural gas or LPG boiler so you can be sure that there is a unit to suit your home. Included as standard is a 7 year warranty to give you peace of mind that you have purchased a highly reliable unit.